Interested in sewing stretch fabrics? Line up your pattern pieces on your fabric so the direction of greatest stretch will go across your body, rather than up and down. This will give you the best fit from stretch fabrics. When you cut stretch fabrics with scissors, the fabric sometimes bunches and moves while you’re cutting, creating jagged edges and cuts that aren’t precise. If you use a rotary cutter and cutting mat instead, you’ll get cleaner and more accurate cut lines. Don’t use a regular, sharp sewing machine needle when sewing stretch fabrics on your sewing machine, because it will puncture the elastic fibers. A ballpoint needle, which is often referred to as a stretch needle, will glide down either side of the fibers, rather than damaging or weakening them. 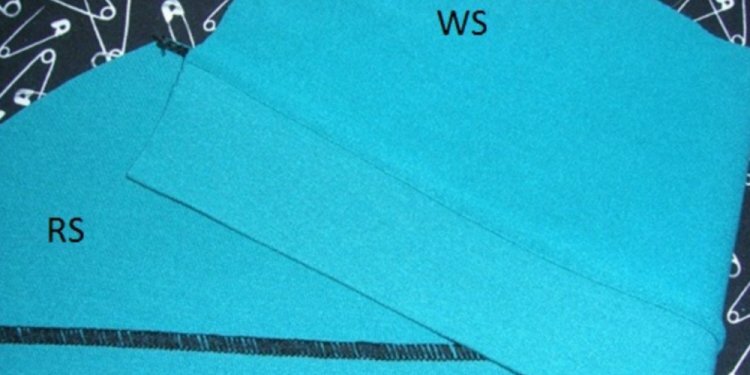 When sewing stretch fabrics on a regular sewing machine, use a stretch stitch setting if your machine has one or a zigzag stitch. A regular stitch will break when the fabric stretches, so instead, you want to choose a stitch that will stretch along with the fabric. Try using binding strips (cut directly from your stretch fabric) to encase the raw edges of your garment for a professional-looking finish that’s easy to do.